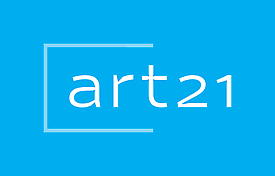 Over the past decade, Art21 has established itself as the preeminent chronicler of contemporary art and artists through its Peabody Award-winning biennial television series, "Art in the Twenty-First Century." The nonprofit organization has used the power of digital media to introduce millions of people of all ages to contemporary art and artists and has created a new paradigm for teaching and learning about the creative process. "Art in the Twenty-First Century" Season Six includes 13 profiles of artists from four continents gathered into four, one-hour thematic episodes: Change, Balance, History and Boundaries. Spanning the globe from Nigeria to New York City, from Beijing to Brazil, the programs reveal the artists at work and speaking in their own words as they demonstrate the power of art to alter perception, challenge convention, and change how we see the world around us.